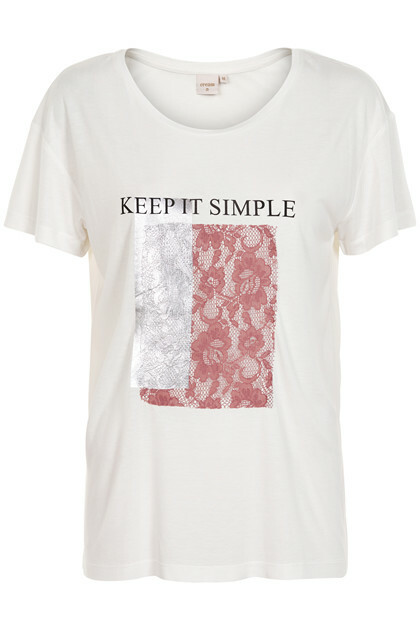 Cool, feminine and amazing soft statement-T-shirt from Cream. The short-sleeved T-shirt has a regular fit, normal length and fine decorative lace details in the front. A beautiful, beautiful, beautiful T-shirt.